1. 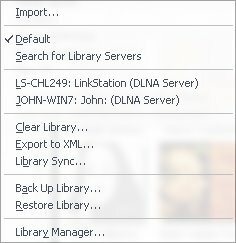 Go to "Tools > Options > Media Network > Add and configure DLNA servers..." dialog and click the "Add" button and select "Sony BD/TV". 2. With "Sony BD/TV" highlighted in the top window, select Video Conversion: Always convert and Encoder: MPEG2/DVD PAL stream if your TV is PAL or MPEG2/DVD stream if it is NTSC.. Many Bravia TVs work with either PAL or NTSC setting. 3. 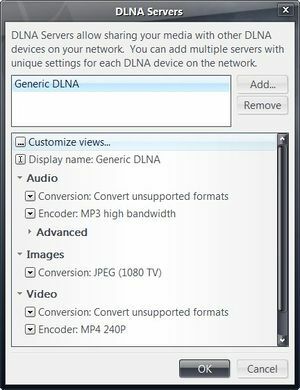 If you are using PAL in step #2 above, click on "Advanced" and change the "Video DLNA Override:" text to read MPEG_PS_PAL rather than MPEG_PS_NTSC. Dismiss the dialog with Ok. 4. 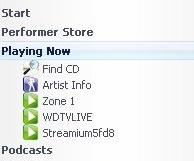 Right-click on the Bravia TV item under "Playing Now" and select "Associate with DLNA server" from the menu and select the "Sony BD/TV" item from the sub-menu. 5. Drag a video file onto the Bravia TV item under "Playing Now" and select "Play".